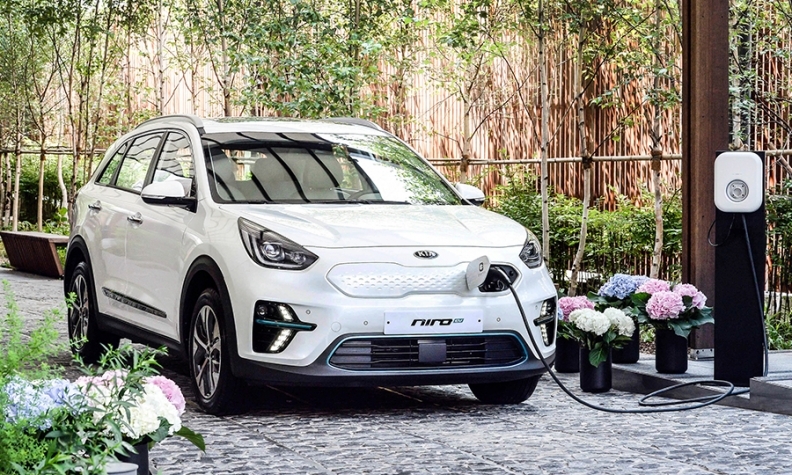 The full-electric version of the Niro is one of 19 electrified cars that Kia will have in its lineup by 2022. 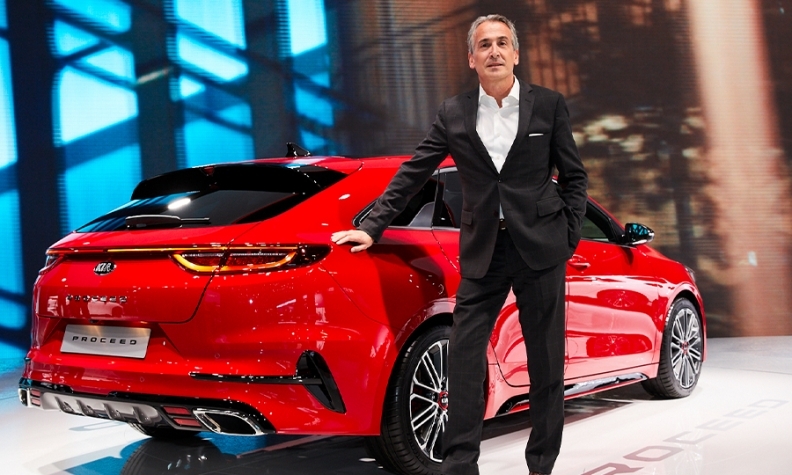 Emilio Herrera became Kia Europe’s chief operating officer in April. His main task is to keep increasing sales for the brand. This year Kia has been posting a market-beating performance because of strong demand for the Stonic small SUV. The Spanish executive is confident that will continue to boost Kia’s European market share in 2019. Herrera discussed Kia’s strategy of accelerated electrification with Automotive News Europe Correspondent Andrea Malan. The transition to electric creates a two- to three-year “window of opportunity” for the automaker, he said. What is your forecast for Europe in 2019 and how will Kia perform? The market should be basically flat around 2018 levels. We have the ambition to keep growing, but maybe not as much as this year. Because of our renewed product range, we could grow in Europe by 3 percent to 5 percent compared with 2018, which would raise our market share above 3 percent. Will tougher EU emissions limits help Kia gain market share? Definitely. We are one of the brands that is best prepared to face this issue because we have all types of electric vehicles in our range, having already invested in the past. Take the mainstream midsize segment, where we compete with the Optima. How many plug-in hybrids are there on the market? Maybe the Volkswagen Passat GTE but very few others. So we are in a position where we have a competitive advantage for the next two years, because in two to three years, the big manufacturers will be there. It’s a window of opportunity for us. Is part of your window of opportunity that VW has temporarily withdrawn from the plug-in hybrid market because of WLTP? Exactly. We can sell as many plug-ins as we can in markets where it makes sense, such as Sweden. We are selling a lot there. Did the recent change in the emissions test standards from the New European Driving Cycle to the WLTP affect Kia? All of our models were prepared to meet the Euro 6d-temp regulations by Sept. 1, so we didn’t suffer the consequences some other brands might have had. The only effect is on the taxation system in those countries where car taxes are based on CO2 emissions. As you know, the way WLTP is measured leads to increased CO2 values. As far as plug-in hybrids are concerned, did Kia have to rework any of them to keep their emissions within the 50g/km CO2 emission limit according to WLTP? We had no issues. Our plug-in hybrids are far below 50g/km. [The Niro crossover was rated at 29g/km and the Optima sedan and wagon at 33/g/km, according to Kia’s Italian website]. What is the average CO2 increase in Kia’s cars from NEDC tests to WLTP? For our range, the increase varies between 8 percent and 10 percent, depending on the model. Does this mean that the 2020 EU emissions targets are up to 10 percent more difficult to achieve? Yes, it will be more difficult to achieve the targets. This means that to make sure we can reach our 95g/km target, we will have to electrify our product range at an accelerated pace. Could you share more details? Last January at the CES in Las Vegas, we announced Kia would launch 16 electrified model by 2025: five hybrids, five plug-in hybrids, five battery-powered vehicles and one fuel cell vehicle. Now less than one year later, I can tell you that by 2022, we will have 19 electrified vehicles, not including the so-called mild electrification of gasoline and diesel engines. The plan is not finalized, but of the 19 electrified vehicles, I reckon the number will be equally split, with six hybrids, six plug-in hybrids, six battery-powered vehicles and one fuel cell vehicle. How many are already on sale? We have the battery-powered Soul, and we presented the battery-powered Niro at this year’s Paris auto show. As far as plug-in hybrids are concerned, we have the Niro crossover and Optima midsize car. The only hybrid so far is the Niro. So, there are 14 new electrified cars coming by 2022. What comes next? This year we launched a Sportage equipped with a 2.0-liter diesel engine with a mild hybrid system. The idea is to launch mild electrification next year for the entire lineup of the compact Ceed. Every new model we launch, starting with Ceed, will have electrified versions. The Ceed itself will have mild hybrids and plug-in hybrids, and we are investigating whether to add a battery-powered version. If the markets continue to evolve, we will seriously think about it, as it makes sense. The market is dictating this. Will you have any entirely new cars on a specific electric platform? There will be at least one entirely new model. On a new electric-only platform? Yes, we will have 100 percent dedicated EV vehicles. When will the first of these arrive on the market? That would be probably in 2020. What is the share of electrified vehicles Kia will sell in Europe this year? At the end of September, we were at 11.2 percent of our total sales. We believe that will increase substantially next year, reaching a level between 15 percent and 20 percent. Taxation is often the driver of these changes, especially in countries such as Norway, the Netherlands, France. But it should be at least 15 percent. What level of electrification do you have to reach to meet the EU’s CO2 emissions target in 2021? There are two trends in the market that force us to sell more electrified vehicles: the lower diesel share and the increasing number of SUVs. We have a sort of calculator to simulate, depending on the market evolution, the number of the various types of electrified vehicles we will have to sell. For example, according to a rough calculation, we will have to sell 40,000 battery-powered vehicles to meet our target in 2021. That would represent approximately 8 percent of our current European sales. How far will diesels fall in Europe? It’s going to decline further in 2019, probably into the 30s. But in the end, it will stabilize. We are already seeing some signs of stabilization in Germany. In the end, the European share will stabilize at about 30 percent. What is Kia’s diesel share? We are already below 30 percent this year. One of the reasons is that our channel mix has a much higher share of private customers, who are more inclined to switch from diesel to gasoline. Kia increased sales 11 percent in the first eight months of 2018, more than your sibling, Hyundai, and more than Toyota. Does Kia aim to become the top-selling Asian brand in Europe, like Hyundai does? We have no such target. We just want to continue our growth in Europe. If we sell more than the others, even better. “We have no intention of becoming a premium brand,” Kia Europe Chief Operating Officer Emilio Herrera said. MAIN CHALLENGE: Increasing sales while leveraging a shift toward electrification. Kia grew more than Hyundai in the first eight months of 2018, up 11 percent versus 9.4 percent at your sibling. How intense is the competition with Hyundai? Well, there is no competition. Let’s call it a healthy curiosity about who is the best, but no internal race. It might happen that we sell more than Hyundai; and in countries such as Spain, Sweden and the UK, that is already the case. Do you strive to differentiate from Hyundai? After all, you are competing for the same type of customers. We are competitors in the market. The way we can differentiate is through entirely different vehicle designs. In the past that was not the case. Our Kia Venga and Hyundai iX20 were way too similar. Luckily, we now have Peter Schreyer, who is our global head of design and is trying to differentiate the look of both brands. But in the market, we compete with them as we do with Renault, Opel, Toyota and Nissan. Some of these competitors are trying to go upmarket. We are a volume brand, and we are competing with volume brands in Europe. Even if we launch cars such as the Stinger, we have no intention of becoming a premium brand. The only thing we will do is launch products that improve our image and awareness in Europe, such as the Stinger and ProCeed. These are the type of vehicles that will get noticed on the street. The ProCeed, in particular, should have a halo effect on entire Ceed range. How many ProCeeds could you sell? It could account for up to 20 percent of the Ceed range’s sales. How many Ceeds will you sell overall? This year we will end up selling approximately 75,000 Ceeds. Our idea is to grow that to 110,000 to 115,000 units next year. In 2019, we will add another body style, so we will have four different vehicles with mild hybrid options for both gasoline and diesel engines. At the end of 2019, we will add plug-in hybrid versions for at least some of the models. Will the new body style be a crossover or a sedan? What do you think has the best chances to be successful in the market? Given the ongoing success of SUVs in Europe, would Kia consider offering a crossover that is smaller than the Stonic? As we speak, we are considering such a move, but there is no firm plan. We are looking to some of the vehicles that are being launched elsewhere in the world – China and India – to see if there are some potential synergies, such as making sure we use an existing platform so we can launch such a vehicle as quick as possible here in Europe. If you ask me, I would say, “Yes, it makes sense, and I would love to have it.” But there is no official confirmation that this will happen.